InterSystems was the computers brand name of the Ithaca company which previously manufactured various cards for other mainframe makers. The DPS-1 is based on the S-100 bus. It seems to be a copy of the Altair 8800 and Cromemco Z-1 systems. The case had a 20-card capacity and can support 8 and 16 bit processors. With a 16-bit Zilog Z8000 processor, the system could take up to 256 KB of RAM and run the Unix operating system, as well as the more usual CP/M. 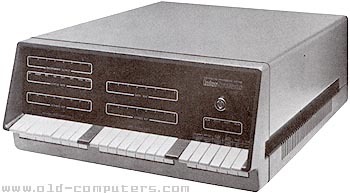 It was the last computer proposing a front panel with switches and data/addresses LED. There were actually two boxes as I recall, one holding the computer and the other holding great big nasty heavy quantum hard disks (20Mb each) - you could actually have more than one drive. The OS it ran was Coherent, a Unix 7 clone from Mark Williams in Chicago. It was one of the first machines you could get and reliably and affordably run your own UNIX server - one thing that I do recall was that they'd built their own memory management unit on a S-100 card that attached to the cpu over an additional top bus - the card used static high speed ram to hold the segmentation mapping data, and the chips themselves had a nasty habit of walking out of their sockets every month or so - when the system started crashing a lot more than normal, you pulled out the mmu card and reseated all of the chips. They made 2 styles of cases...one with a front panel, and one without. Later they came out with a cache-bios for their version of CPM, it became a real hot rod. Motherboards were by Godbout I believe. Early CPU boards were a little flakey at 4 MHz, but later cpu boards were great! I replaced the crystal section on the CPU board with a 6 MHz oscillator and Z80b CPU. see more Intersystems DPS-1 Ebay auctions !